Two first-half goals from Roberto Firmino and Mohamed Salah - with the duo setting up each other's efforts - helped Liverpool to a 2-0 win over relegation-threatened Southampton. Southampton: McCarthy; Soares, Stephens, Hoedt, Bertrand; Romeu (Davis, min. 80), Lemina (Boufal, min. 57); Ward-Prowse (Long, min. 71), Højbjerg, Tadić; Carrillo. Liverpool: Karius; Alexander-Arnold, Matip, Van Dijk, Robertson; Oxlade-Chamberlain (Milner, min. 60), Can, Wijnaldum; Salah (Lovren, min. 89), Firmino (Lallana, min. 79), Mané. SCORE: 1-0, min. 6, Firmino. 2-0, min. 42, Salah. REFEREE: Martin Atkinson (ENG). Yellow cards: Matip (min. 36), Can (min. 47), Romeu (min. 62). INCIDENTS: Premier League match-day 27 clash between Southampton and Liverpool at St Mary's Stadium. Attendance: 31,915. Roberto Firmino and Mohamed Salah both scored one goal and set up another as Liverpool moved within two points of second thanks to their defeat of relegation-threatened Southampton on Sunday. Firmino's 20th goal in all competitions put Liverpool ahead after just six minutes from Salah's pass before Firmino returned the favour with a stunning flick, setting up Salah for his 29th of the season. Loris Karius - whose form in goal has notably improved recently after being named Liverpool's undisputed number one - made a string of fine first-half saves to keep Liverpool ahead at St Mary's Stadium. The away side dominated the second half but could not score a third, though it mattered little as Jürgen Klopp earned his 50th Premier League win as Liverpool boss, in 95 games. The Merseyside outfit move just two points off of Manchester United in second after their shock defeat to Newcastle United on the same day. The Saints came into this clash unbeaten in six games and looking for their first back-to-back league wins since April last year, but were undone by the quality of Liverpool's front-line and now remain winless at St Mary's since November 26. Their seven-game streak without a home league win is a joint club record and sees them remain in the relegation zone, one point away from 17th-placed Huddersfield Town. Five former Southampton players featured in the visitors' squad - three of those starting from the off - with the latest player to make the well-treaded move, Virgil van Dijk, expectedly receiving boos from the home fans. They were almost made to feel all the more disgruntled with Firmino nearly allowed in by Wesley Hoedt's miscontrol, though the defender recovered to help goalkeeper Alex McCarthy collect. But Hoedt's next mistake was rather more costly as Liverpool launched an excellent counter-attack to capitalise through Firmino. The Dutchman horribly misjudged Alex Oxlade-Chamberlain's pass down the right, allowing it to find Salah on the edge of the box. The Egyptian waited for the run of Firmino and squared to the Brazilian to side-foot a first-time effort into the bottom corner. After Oxlade-Chamberlain had a deflected strike well saved by McCarthy, Southampton stepped up the pressure on the visitors, who allowed their intensity and energy to drop. Pierre-Emile Højbjerg would have released Dušan Tadić clear on goal if not for the offside flag and then forced a sublime save from Karius after Oriol Romeu lofted a pass over the top of Andrew Robertson to find Højbjerg in space. The German 'keeper stood strong to keep out the midfielder's effort and also denied record Southampton signing Guido Carrillo after he leapt above Trent Alexander-Arnold to head goalwards from a James Ward-Prowse cross. Ward-Prowse was the recipient of an aerial delivery himself soon after, though with time and space he might feel he could have done better though Karius had to tip his attempt over the crossbar. Liverpool sought a second and almost got it through the effervescent Robertson, who surged down the right to meet Firmino's pass on the overlap and tease a cross through the six-yard box - but no team-mate was near enough to tap in. Ward-Prowse had another header saved by Karius, this one far more comfortably, when he found space to connect to Ryan Bertrand's ball into the box, but his downward effort proved a simple stop. And Liverpool doubled their lead shortly before half-time with a goal borne of brilliance rather an opposition error, Joël Matip finding Salah 20 yards from goal. The free-scoring winger flicked the ball to Firmino, who produced a magnificent back-heel flick to return possession to Salah. With no defender reacting quickly enough, the Player of the Season candidate placed a low effort through McCarthy for his 22nd top-flight goal this term - putting him one behind top scorer Harry Kane. Ex-Southampton winger Mané met Firmino's cross with an acrobatic volley and though Mario Lemina stood strong to block, the loose ball fell to Salah. But on his usually-deadly left foot, he curled over the bar when searching for his 30th of the campaign in all competitions. Hoedt flicked wide from Ward-Prowse's cross as Mauricio Pellegrino's men looked to reduce the deficit while Mané went close to meeting substitute James Milner's cross with a header. Mané intercepted Højbjerg's pass to Ward-Prowse and drove forward to find Firmino to his right. His low effort was saved by the legs of McCarthy, before Salah fired the rebound into the side netting. Pellegrino's decision to swap Ward-Prowse for striker Shane Long was greeted by chants of "You don't know what you're doing!" from the home fans as the Saints struggled for a way back into the game, rarely threatening after the break. As Southampton pushed numbers forward it was Liverpool who looked the team more likely to score the next goal, with Mané and Robertson both having shots blocked in one promising break-away. Mané then fired wide after Georginio Wijnaldum dummied Firmino's diagonal pass for the Senegalese winger, who spun towards goal on his left foot but sliced his drive well wide of goal. And former Saints skipper Adam Lallana, another who was booed by the home supporters, curled a fraction wide after combining well with Salah inside the area. But though Liverpool could not find a third goal, they rode out what little pressure Southampton could muster in the final minutes to jump back above Tottenham Hotspur into third and leave the South Coast club still struggling in the bottom three. 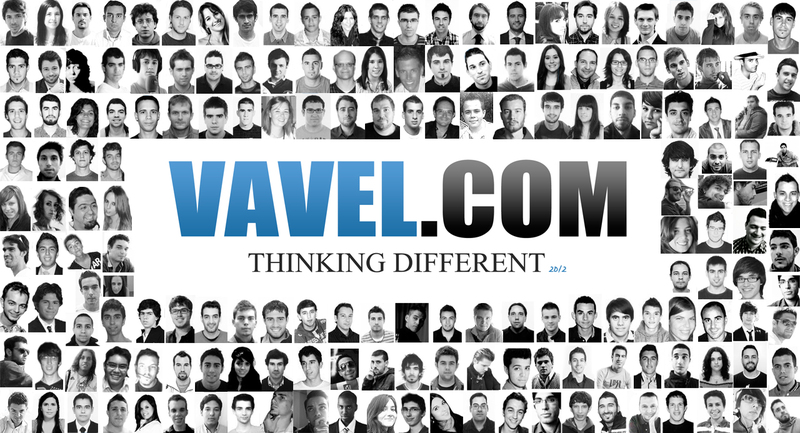 Why write for VAVEL UK?